Pantaloons, playsuits and ra ra skirts – these might not be the first words which come to mind when the subject of women’s empowerment arises, but think again. 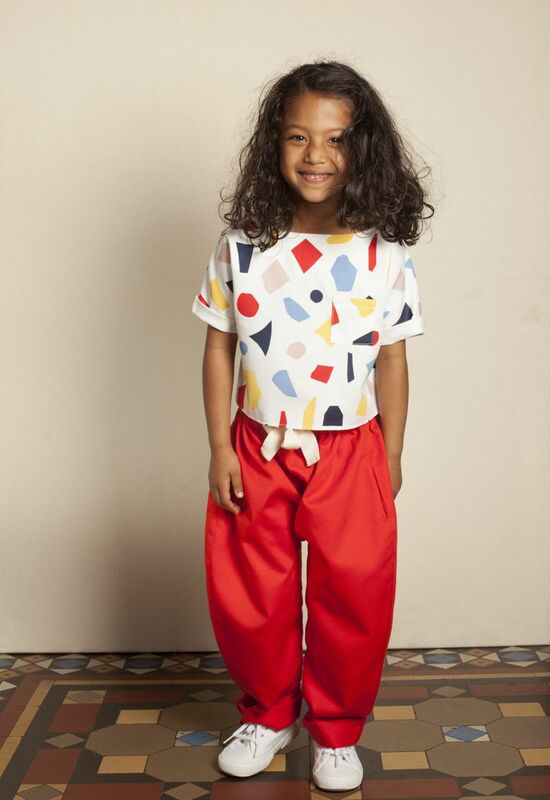 Innovative children’s clothing brand Mini Stitches are showing how to use business to nurture a diverse community, all while dealing in soft stripes and geometric prints. The East London social enterprise empowers disadvantaged women in the area by providing employment, training and English classes. 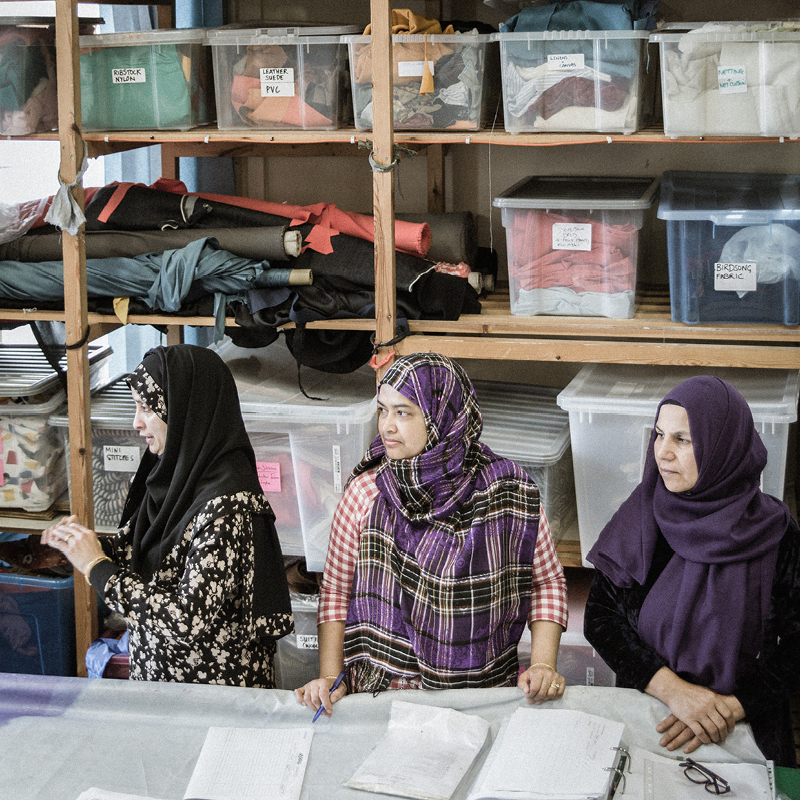 Each Mini Stitches item is unisex and produced largely by Bangladeshi women from Tower Hamlets in East London, with up to 75 per cent unemployment in their community. Responding to a growing demand for ethically-produced clothing in the UK, the charity designs on-trend kids’ clothing and reinvests the profits straight back into the services they offer. Using only ethically-sourced materials and fabrics in the manufacture of their contemporary collection, Mini Stitches was born out of charity Stitches in Time which has been behind creative projects in the area for 20 years. 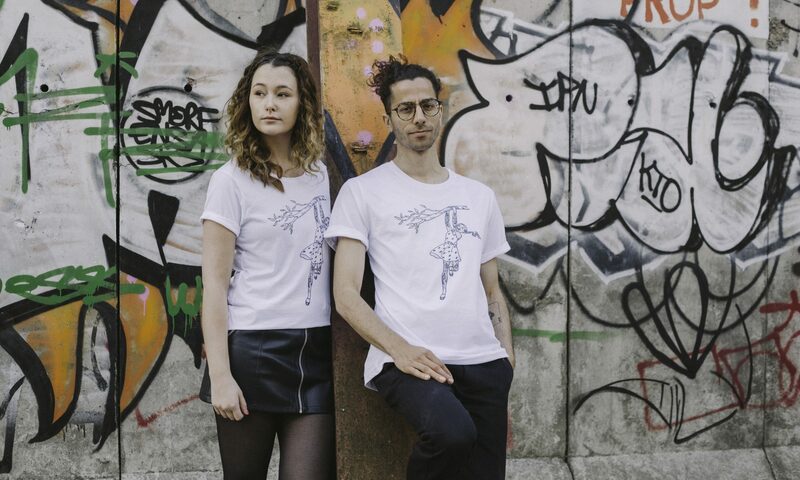 With clothes made to last, their quality garments are crafted to be passed from generation to generation – further reducing the waste produced by their small-scale operation. But while the team behind Mini Stitches is pioneering a fresh vision in the fashion world, their goals extend well beyond industry parameters. Women’s self-development is the name of the game at Mini Stitches. The social enterprise was carefully designed to tackle the root causes of unemployment among Bangladeshi women in the area such as a lack of work experience and too few qualifications. As well as receiving industry-standard training, their female workforce are also given access to English classes, I.T. support and mentoring opportunities. The collaborative space also helps women build confidence and set personal goals while fostering relationships in their community. “As this community-made, children’s clothing brand develops and grows, so does the women’s ambitions, self-belief and sense of achievement,” said director of enterprise and outreach Katie Adkins. Mini Stitches also flies the flag for transparency and sustainability – explaining each step of their pricing to potential customers and making the move to hand-woven, environmentally-friendly materials. Next time a kids’ clothing catalogue is popped through your letterbox, consider setting it aside and browsing Mini Stitches in The Big Issue Shop instead.